Kelvin is joined by musician, Gino Brann. They talk about Gino's music, the yeti, eating notebook paper, bullying, and a bunch of other dumb stuff. They also determine the official best band of all time through an elimination tournament. Gino shares some of his music and performs an original song live on the pod. They also share memories of regret. It's a good one, folks. Nothing's Really Real is based out of Busan, South Korea. 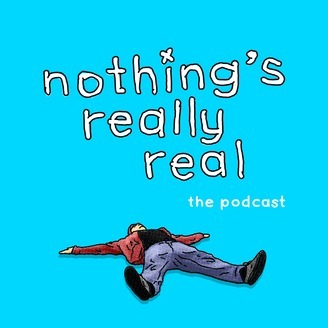 It is a podcast about art, comedy, music and ... whatever else.